Two of the most destructive moments of state violence in the twentieth century occurred in Europe between 1933 and 1945 and in China between 1959 and 1961 (the Great Leap famine). This is the first book to bring the two histories together in order to examine their differences and to understand if there are any similar processes of transmission at work. The author expertly ties in the Taiwanese civil war between Nationalists and Communists, which included the White Terror from 1947 to 1987, a less well-known but equally revealing part of twentieth-century history. Personal and family stories are told, often in the individual’s own words, and then compared with the public accounts of the same events as found in official histories, commemorations, school textbooks and other forms of public memory. The author presents innovative and constructive criticisms of social memory theories in order to make sense both of what happened and how what happened is transmitted. 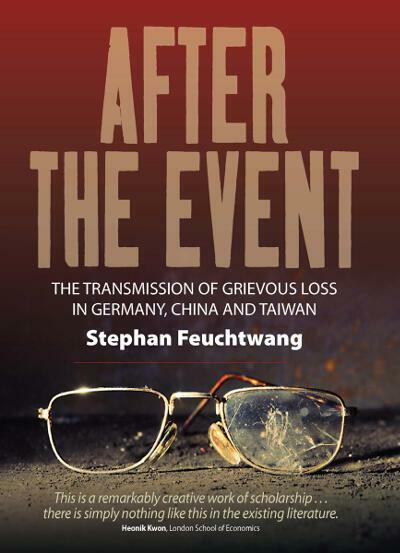 Stephan Feuchtwang is part-time Professor in the Department of Anthropology, London School of Economics. He has published books on Chinese popular religion, feng-shui and on grassroots charisma in southern Fujian and northern Taiwan. His research interests are on the relations between politics and religion and on the anthropology of history and comparative civilisations. For this book he extended his research from China and Taiwan to Germany, where he was born and from which his parents fled as refugees to England. An interview on the life and work of Stephan Feuchtwang. Filmed on 12th March 2009 by Alan Macfarlane and edited by Sarah Harrison. Generously supported by the Leverhulme Trust.